Rock the bike with both brakes locked. Do this by moving your hips back and forth over the bike, pushing on the bars when you are leaning over the stem and pulling on the bars when you are crouching back (bum over the rear hub with your arms stretched). 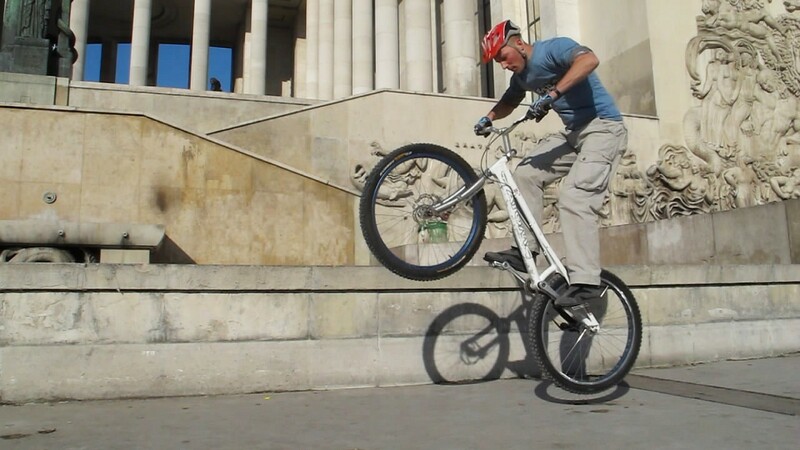 After some practise, you'll be able to rock the bike back and forth with more and more amplitude. 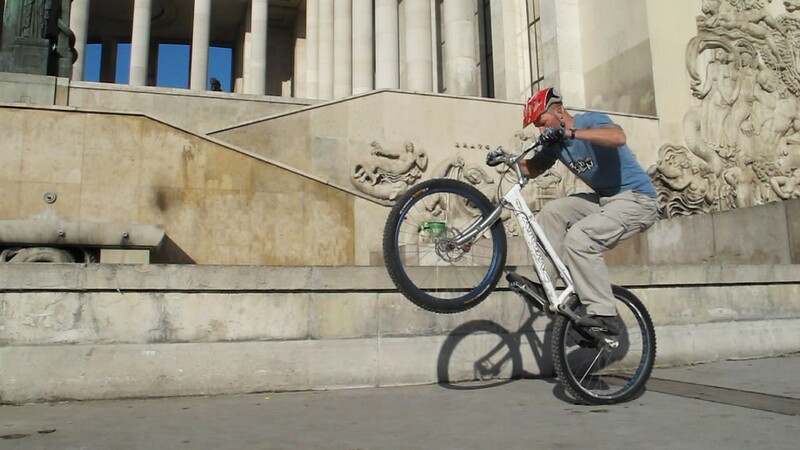 Eventually you should reach a point on the rear wheel where you will fall backwards instead of rocking again onto the front wheel. This is the point of balance where you should try to stay by adjusting the position of your knees, tucking them in as you reach that point. 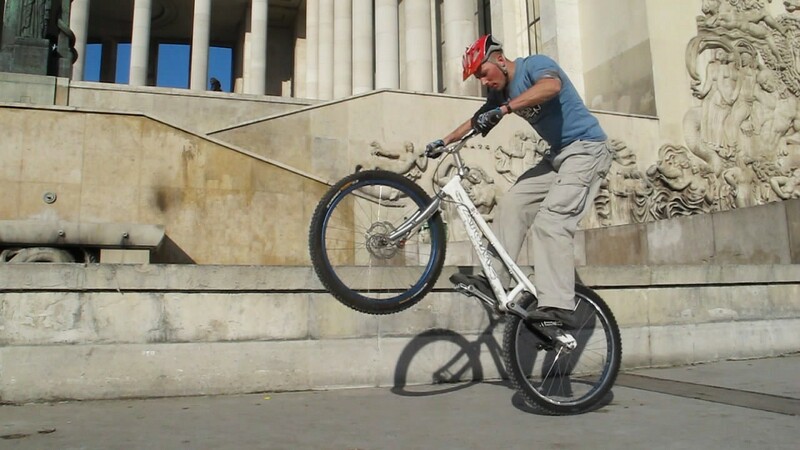 This will give you a feel for proper balance over the rear wheel. Nico hops on the spot. From there, try to bounce back instead of falling backwards. When rocking back, do not jump off the bike as you reach the point of no-return. Instead, from a crouched position move up with an impulse from your ankles and finish off by firming up your arms once you have reached the end of your extension. Initially, you'll be bouncing backwards, but that's a good start. Move your hips up and down, crouching on the way down to compress the rear tyre before the next hop. To perform small hops on the rear, use the spring of your calves and ankles to bounce back, keep your arms firm on the way up. 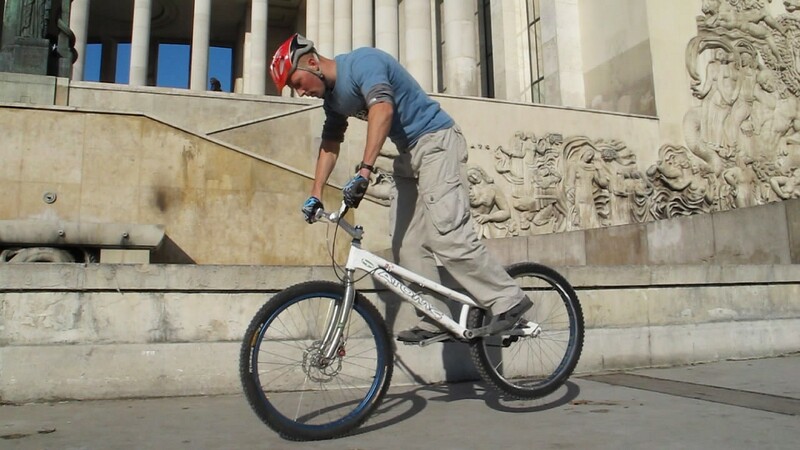 1° Rock the bike forward with both brakes locked, pushing on the bars when you are leaning over the stem. 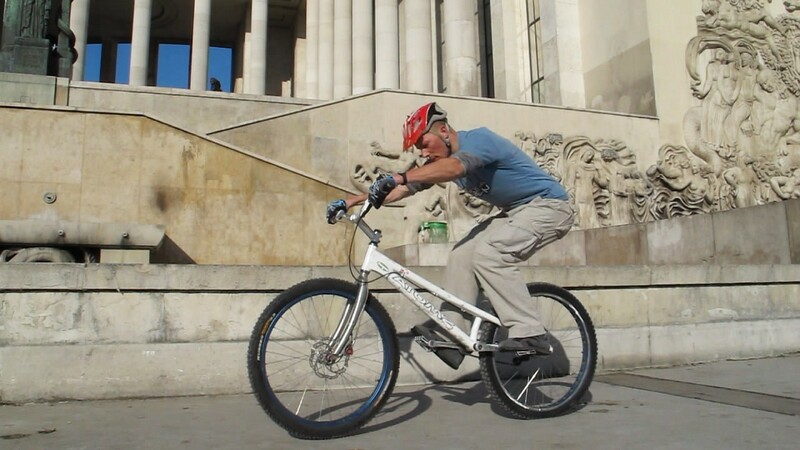 2° Then thrust your hips back and bring the rear wheel down with your hips over the rear hub to compress the rear tyre. 3° From that crouched position (arms stretched) move up with an impulse from your ankles while pulling on the bars. 4° This naturally lifts the front wheel up, keep pushing on your legs to thrust your hips up until the bike is nearly vertical. 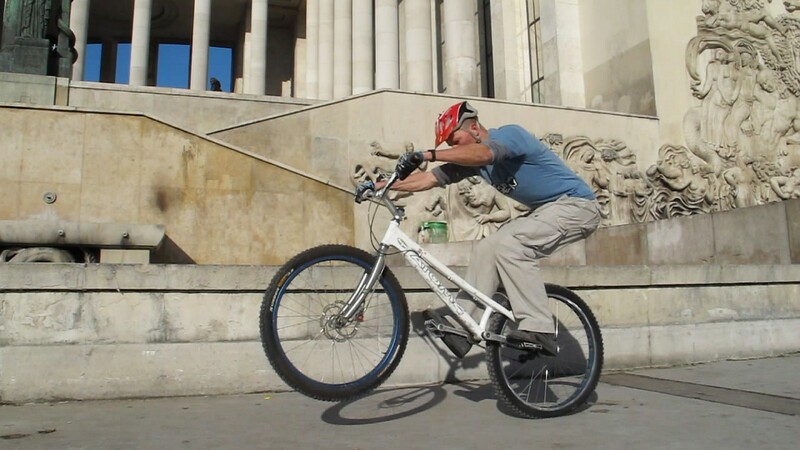 5° Moving up on your momentum, firm up your arms and tuck your knees to lift the entire bike with you. 6° Crouch on the way down and flex your ankles to compress the rear tyre, ready for your next hop. You don't have to pull up hard on the bars, so relax! It is best to let your legs do the work. In some sections, you may want to pull up more with your arms, but then, make sure you tuck your knees up by the same amount or your feet will stop the bike (you won't win pulling against yourself).